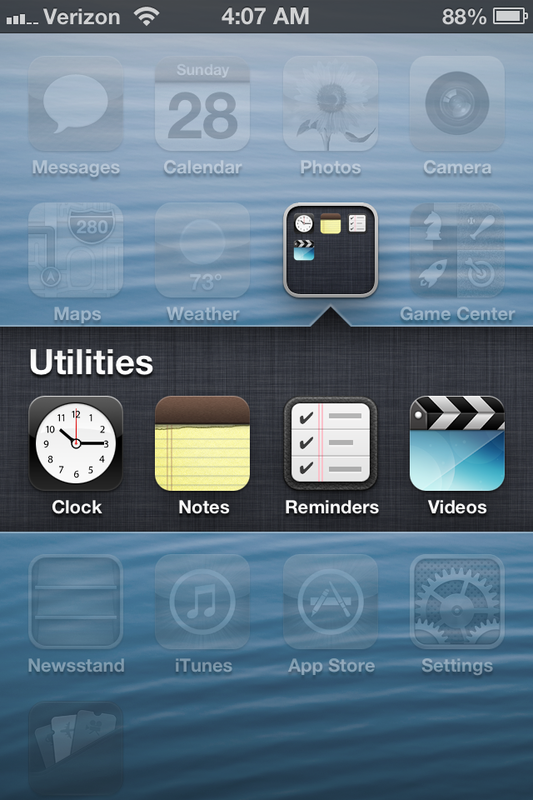 When iOS 6 was released in September it boasted over 200 new features. I am sure you are well aware of the major ones like Apple Maps and Facebook and Twitter integration, but if you haven’t had the time to thoroughly go through all the cool new things your new operating system can do, you may have missed a few things. One of the best, yet surprisingly simple new iOS features is the ability to set an alarm using any song in your music library. It makes waking up in the morning a more enjoyable experience. So if you are tired of waking up to standard instrumental alarm music and would prefer a little Metallica or Rihanna to wake you up in the morning, here is a quick walk though on how to set an alarm using a specific song. 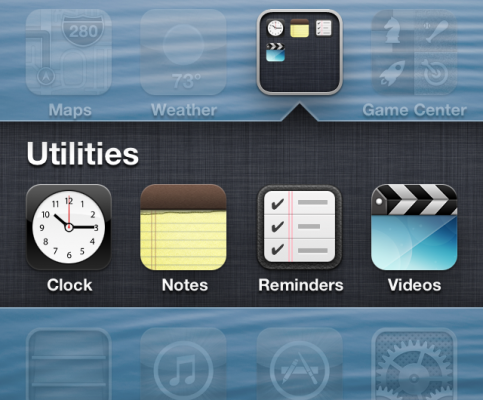 To get to your alarm open up your clock app, which will probably be in your ‘Utilities’ folder (if you are having trouble finding it, it’s just an app that looks like a clock). Add an Alarm by hitting the ‘+’ button that will be on the top right corner of the app. After you have set up the alarm time, tap ‘Sound’. In this section you will see a few song options, but if you do not see the specific song that you were looking for tap ‘Pick a Song’ and you will be taken to your iTunes library where you can choose any song that you please. 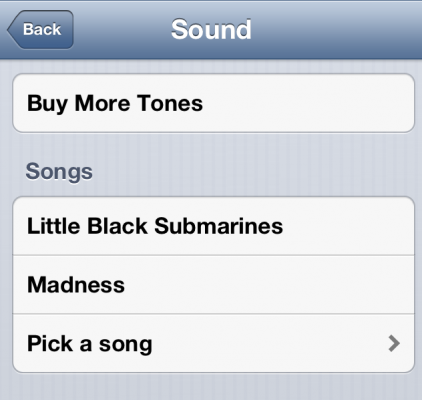 If you are enrolled in iTunes Music Match you can choose any song you have stored in the iCloud as well. But be warned, if you choose a song from the iCloud and lose internet connectivity or reception, your alarm will go off but a song will not play. So your best bet is to choose a song that you already have downloaded onto your device just to be safe. When the alarm goes off it will play the entire song if you let it and will not stop until you shut off or snooze it. This alarm feature is available on all of your Apple devices that are running on iOS 6. It is easy and pain-free to set up, and is a great new and convenient feature to have for your iPhone or iPad.